EFORT > Thank you Prague! The full attendance of the congress entitles to 18 European CME credits (ECMEC’s). The certificate will be available for download on EFORTnet by end of June 2015. Participants will be notified by Email. EFORT thanks the attendees of the16th EFORT Congress held in Prague, Czech Republic from 27 to 29 May 2015!! Thank you Prague! Thank you participants! Thank you Faculty! Thank you exhibitors & sponsors! And see you in 2016 in GENEVA, Switzerland! 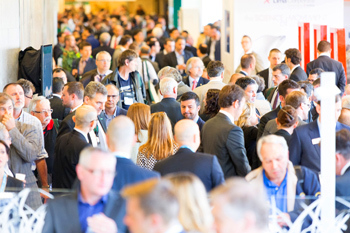 Building on the success of London’s 2014 meeting, the 16th EFORT Congress in Prague (27-29 May 2015) featured a robust scientific programme that included symposia and instructional lectures from distinguished speakers, as well as Free Paper submissions from all over the world. Have you missed a session in Prague, consult EFORT eScience 2015 with over 1000 Prague 2015 audio presentations available!